Wish you have a good day today! This is Ivy from Bizbee, specialize in mobile phone parts for 10 years with strict quality control and moderate price. For iphone screen, did you meet touch problem? After you change aftermarket iPhone screens and your customers upgrade to the latest iOS. Good news, we offer Original iPhone Screens for you and make sure the original quality will not be effected by iOS upgrade. We know still many customers also require original quality instead of high copy. Here I would like to introduce three different mainly original quality in the market: Refurbished Original, Original Material and OEM Original. 1. Refurbished Original: The stablest quality except foxconn original. 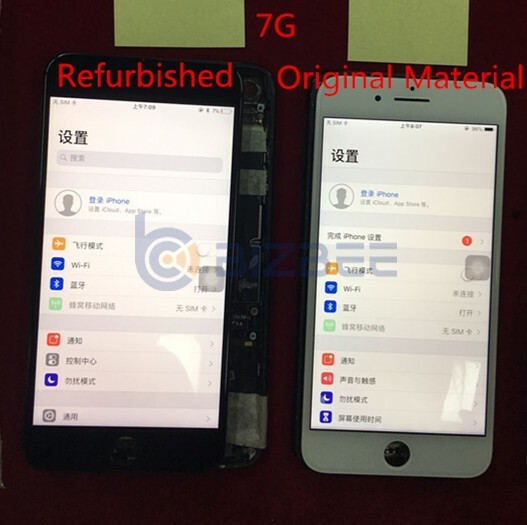 Only Glass is changed, others are 100% foxconn original. 2. 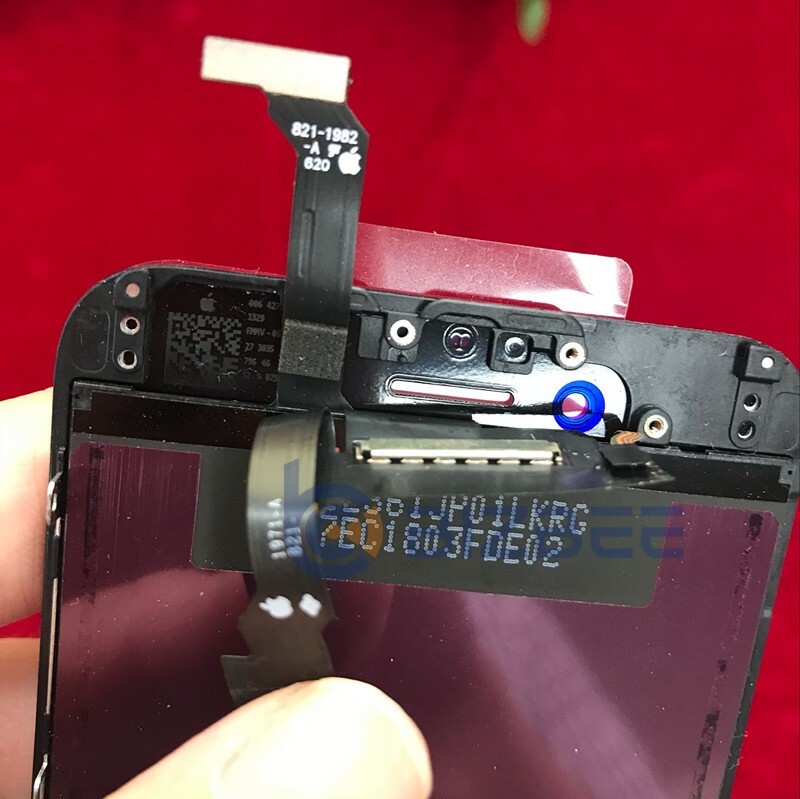 Original Material: All Material are original and it is FOG, that means the flex cable bonded on the lcd from original factory: It will be the same stable quality too. Besides, the color looks better. 3. OEM Original: LCD and flex cable are original, the flex cable bonded on the LCD is made by third party, not original factory. The price will be cheaper. If you are wholesalers, I recommend you OEM Original quality. If you have repair store and your customers value the quality, I recommend you refurbished original and Original Material. 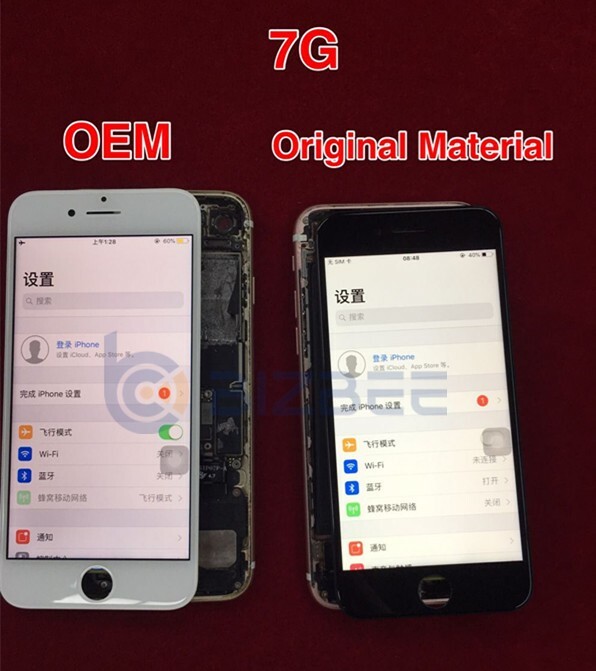 The original material’s prices will be a little cheaper than refurbished original. If you need foxconn original, please feel free to contact me. They are available too. Price could be better for bigger quantity order.